Today’s MVNOs Europe conference agenda looks at the future for MVNOs and in particular where the opportunities lie. We’ve already spoken about the impact Brexit, the smart home will have on consumer preferences and the future of the MVNO market. However, one stone we’ve yet to turn over in detail is that of the opportunity in B2B. I’m sure it’s something that will be debated long after this year’s event closes and throughout 2018 and into 2019. So why is it worth discussing? It’s all to do with the way the market is balanced today. There are some MNOs who already dominate in B2B and the others who have the brand to compete, yet don’t yet or if they do they significantly under index or have a very marginal representative market share. Gartner predicted that 2017 would see a 31% increase in things connected to the internet and that by 2020 there will be 20.4 billion things connected. Perfect conditions for growth and innovation for MNOs, and by 2020 $1.4billion of revenue will come from the enterprise propositions. That’s a significant prize for MNOs and MVNOs to chase. But of course SME propositions could simply be about offering a great service and price for business communications at its very basic level. Traditionally, B2B has lagged behind the consumer segment in terms of innovation and pricing. More often than not this has come down to complexity. Billing a “fleet” of devices, and managing them is much more difficult than a simple consumer service, and of course business communications demand business grade service. However, it’s surprising how even the most paired back of offers can cut through if executed well. Some small boutique telecoms and IT suppliers are proving that you can successfully compete against the big boys because they are taking the time to develop exciting and targeted bespoke services. They are of course more agile and it translates into focused and targeted marketing strategies that deliver real benefits to the enterprise vertical that consume the service. Plus, network virtualization and cloud technologies are leading the way in terms of creating fully integrated fixed, mobile and IT solutions. Put a customer service wrap around it, one that solves the pain many businesses face, and you’re well on the way to a successful and differentiated strategy. And that’s the key – anyone can integrate services, but not everyone can deliver a standard of customer service that helps its customers grow, innovate and compete, and if you ask some small businesses they will tell you the big boys just don’t get it! Certain segments will be facing different pressures, be that a buoyant switching market as we see in the insurance and utility sector, regulation that drives change in the financial services industry, or the adoption of IoT in the manufacturing and logistics sector. Understanding these operational opportunities and difficulties is where the opportunity lies. But the real winners will be those who don’t just solve the problems but do it in a way no one else can. Skill will be critical. Me too won’t wash. Companies need the extraordinary from their service providers so that they can achieve the extraordinary for their customers. And they are willing to pay for it if the ROI is proven. Tap into that and you have boundless growth potential. 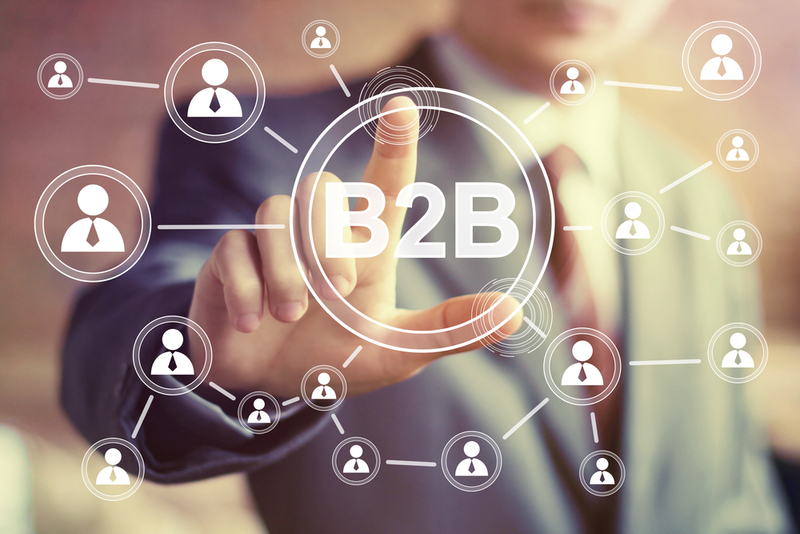 If you’d like to discuss how your business can develop marketing strategies and targeted propositions that capitalise on the growing B2B market, then contact Graystone Strategy today.